Before the settlers from the Ilocos province, led by a man whose family was "Madriaga" set feed on the soil of Sta. Ignacia, the locality was a mere prairie. Together with his companions they settled in a place named "Binaga" which now called Nabagbagan-Nambalan. The place was so called "Binaca" in view of the fact that thousands of cattle were herded in that locality. As time went on, more immigrants from Cabugao, Sarrat, Tagudin, Bacarra, Badoc, Candon and Paoay, all towns in the Ilocos regions arrived with all their personal belongings placed in their covered carts. According to Treasurer Jose Pedroche, a local historian, those early pioneers employed the kaingin systems in clearing the lands, which was densely covered with cogon and talahib. Cattle raising and little agriculture were the early industries of the place. Later, the land area cultivated gradually increased simultaneously with the increased population. With the locality progressing, Binaca in 1845 became a barrio of Camiling with Don Manuel Natividad, its first Teniente Basal. In 1875, the barrio became a town with Don Felipe Cabugasa, its Gobernadorcillo. It was in the same year when Binaca was changed to Sta. Ignacia in honor of her patron saint. During the period of development, Binaca has been the target of a series of attack. In 1851, a great number of ruffians visited the place and carried away work animals and personal belongings. To harass the residents, they even went to the extent of harming whoever resisted. The inhabitants were nevertheless discouraged and instead worked harder to make up for their losses. 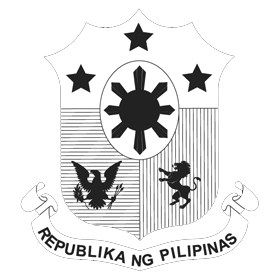 In 1888, robbers forced their way in town and looted private properties including the "Timbre del Tribunal" (official seal) which was, however, recovered during the administration of Capitan Municipal, Don Vicente Laoang, somewhere around the year 1894. One of the most significant events that occurred at a later period, which should never be forgotten in the town's history, was when General Pedro Pedroche and his men attack the town at the height of the town fiesta. In the encounter, the chief of police, a brother-in-law of General Pedroche and three policemen and a number of civilians were killed from bullet wounds. The tragic event arose when the chief of police refused the offer of Gen. Pedroche that he is his adviser. In 1896, don Eulogio Madriaga, and then Capitan Municipal received an order from the parish priest of Camiling to move the town nearer the mother town of Camiling for security reasons. Don Eulogio Madriaga as subordinate official has no other alternative but to obey orders, hence the transfer of the town from Nambalan to its present site. One of the first steps undertaken by the new governing powers was the re-organization of the municipalities in the province. On recommendation of the Philippine Commission of 1902 it was held that smaller towns, which cannot stand by themselves, were to be reverted into barrios, the same to be attached to towns close to them. Thus, Sta. Ignacia along with Pura, San Clemente, Mayantoc, Mariones, O'Donnel and Murcia ceased to exist as towns. For almost ten years, since 1903, Sta. Ignacia remained a barrio of Camiling. Don Santiago Aviguetero, Don Florencio Antonio and the incumbent Teniente Basal, Don Simeon Hilario and backed up by the sympathy of the people for their movements they had sought all legal means to regain the status loss of their beloved town. In due course, they had met so many drawbacks but were never discouraged in their fight for the common cause despite stiff opposition of the Camiling Municipal Council as influenced by the Camiling's great like Don Gregorio Romulo, Gregorio Clemente and Don Benson. Due to insistent demand, the people of Sta. Ignacia at last sought the intervention of the Honorable Provincial Board of Tarlac and which by sheer good luck; the petition thus presented was finally considered favorable. Sta. Ignacia has a total land area of 14,607 hectares. It is composed of 24 barangays two of which (Poblacion East and Poblacion West) are located in the urban area while the rest of 22 barangays are located in the rural areas. The municipality of Sta. Ignacia is situated in the western part of the Province of Tarlac and is bounded by Camiling in the north, Gerona and Paniqui in the east, Tarlac town in the south and Mayantoc in the west. Sta. Ignacia is 25 kilometers northwest of the capital town of Tarlac. The concreted Romulo Highway with a stretch of 14 kilometers traverses the municipality from north to south. This concreted highway is extended up to the town of Lingayen and city of Alaminos in the province of Pangasinan. It offers a great geographical significance considering that the flow of goods from north to south of the province province also converges in Sta. Ignacia. There are two distinct geographical areas in the municipality of Sta. Ignacia, the eastern and western part. Forming the eastern area is a small level plain, accent alluvial deposits of sand and small amount of clay. The western and southwestern part forming the other area consists of extensive hills and mountains of the eastern portion of the Zambales mountain ranges. The topographic feature of the municipality if roughly rolling to hilly and mountainous. The vegetation is mostly of the "Parang" type. But there are few trees and in some cases none at all. With the municipality, there are gravel and concrete filled profile. Volcanic rocks, boulders, cobblestones and pebbles can be found on the surface but in small patches only. Climate in Sta. Ignacia resembles closely that of the whole province of Tarlac. In general, there is only one type of climate in Sta. Ignacia with two well-defined seasons, the wet and the dry season. It receives its copious rainfall during the southwest monsoon period from June to October, which correspond the wet season. The northeast monsoon period from November to May correspond with the dry season. The hottest month is April and the heaviest rain of the year comes during the months of June to September. Two rivers traverse the municipality from south to north, the Bayating River of the western side and the Sapang Dalag River at the eastern side. These rivers are source of irrigation water of the area traversed. Sta. Ignacia has a metallic and non-metallic mineral deposits like manganese, clay, limestones and marble. Sta. Ignacia has three distinct type of soil including Tarlac clay loam, which is found in all parts of the town occupying a bigger percentage of about sixty percent (60%) of the total area, while Tarlac sandy clay is located at the eastern and western portion of the town having thirty percent (30%) of the area and Tarlac clay loam. Gravel phase is found at the northern portion of the town having a smallest area of ten percent (10%). The 2008 Census on Population conducted by the National Statistics Office (NSO) shows that the municipality of Sta. Ignacia, Tarlac has a population of 43,560; Barangay Poblacion East has the biggest number of population which is 3,855 followed by Barangay Poblacion West which has 3,283, followed by Barangay Padapada which has 2,958, fourth is Barangay Vargas with 2,675 and fifth is Barangay Pilpila with 2,345. On the other hand, Barangay Taguiporo has the least number in the municipality, which has only 487 inhabitants. The major concentration of the town's population is observed in the rural areas, which accounted for 85.80% of the municipality's total population. The National Statistics Office (NSO) preliminary report of 2008 shows that the Municipality of Sta. Ignacia, Tarlac is predominantly a rural area. The urban areas of the municipality are the Poblacion East and Poblacion West with a combined population of 7,138 or 16.39% of the total population of the municipality's as against its rural population of 36,422 or 83.61% in the year 2008. There is a slight percentage change in the year 1995 which 16.42% for the urban population and 83.58% for the rural population. In terms of population density, the municipality was registered at 2.37 persons per hectare in 2008 while 2.89 persons per hectare in the year 2000. Based on the 2008 census, Sta. Ignacia, Tarlac is predominantly an Ilocano-speaking town. About 96.92% of the total household populations speak Ilocano, while Tagalog is spoken about 2.07% of the population. The population of Sta. Ignacia, Tarlac is predominantly a Roman Catholic. This is about 25,779 or 61.03% of the total population in the year 2008. The Aglipay ranks second which comprises about 20.98% of the population followed by Iglesia ni Cristo that is about 5.54% of the population. The 2008 report of the National Statistics Office (NSO) shows that the literacy rate in the Municipality of Sta. Ignacia, Tarlac is 93.74% of the population 5 years old and over are literate while 6.26% are illiterate or have nor grade completed. Santa Ignacia is basically an agricultural town being part of Central Luzon. Agriculture serves as the major means of livelihood among the populace. A total of 12,343.469 hectares or 89.46 percent of the total land area of the municipality is devoted to agriculture. An area of 6,985 hectares is devoted to rice. The municipality also produces vegetables such as sweet potato, tomato, eggplant and others. The present total production of palay during the wet season is 25,813.33 metric tons while a total of 14,295 metric tons is harvested in the dry season. Second cropping is practiced by farmers in irrigated Riceland and sometimes also in rain fed areas depending on the frequency of rain during the year. Livestock and poultry production is another means of livelihood that the people of Santa Ignacia depend on. These help them support their daily needs as it increases their household income. At present, there are twelve poultry/piggery projects operating within the municipality with a total of 820,000 commercial chicken, 11,172 swine and 11,062 cattle stock. Fishery activities in the municipality are undertaken in small farm reservoir which doubles as rain catchments for irrigation purposes and for the production of freshwater fish like tilapia and other fishes of the carp family. Agriculture in the area is gradually being mechanized with the use of hand tractors. Open surface pumps irrigate 52 hectares of land while the small farm reservoirs provide irrigation to a total area of 94 hectares. Records at the Municipal Planning and Development Office gives a clear indication that Sta. Ignacia, Tarlac Ignacia is basically an agricultural town. However, with the thrust of the government's policy to disperse industries away from the Metropolitan Manila Area, there has been a marked increase in the number of industries locating in the municipality especially agro-based industries. Industrial activities in the municipality are mostly agro based like piggery, poultry and rice mills. There are a total of 55 industrial establishments operating in the municipality. Of this, poultry/piggery has the greatest number (39) while there are 9 rice mills. The rest are engaged in garments (5), pottery (1) and cold storage (1). These establishments are sporadically located within the municipality. The existence of roads and transport routes among the barangays and the strategic location of the town in addition to its potentials, contribute largely to the sustained existence of commercial firms in the locality. There are several commercial establishments located in the municipality with sari-sari stores dominating the trading activities. The center of commerce is located in the Poblacion Area where the Public Market is located. The market operates everyday but more traders come on Wednesdays, Fridays and Sundays. Education for every individual is a basic social right. As such the citizenry highly depend on the kind of education being injected to them for their development by the different educational institutions existing in the municipality. Both public and private institutions are conducting formal education in Sta. Ignacia, Tarlac. Its local residents, especially the young, are enthusiastic enough to learn academics and to engage in sports. It is a good thing there are a great number of schools scattered within the poblacion and within the different rural barangays that meet the needs of its students. As of school year 2005 - 2009, the municipality has 26 elementary schools, out of which, 23 are public and Three (3) is private school, which are Glory Dei Montessori College, SIBC Sch., and Methodist, all located at the Poblacion Area. Likewise, there are 12 secondary schools, 8 are public and 4 private schools, the Sta. Ignacia High School,Sta. Ignacia Academy, Glory Dei Montessori College and Santa Ignacia Baptist HS. Glory Dei Montessori College is the only school offering tertiary education in the municipality. High school students who want to pursue their college degrees enroll in nearby municipalities such as the Tarlac State University in Tarlac City and the Tarlac Agricultural College located in Camiling, Tarlac. HEALTH AND NUTRITION The health of the people of Sta. Ignacia, Tarlac were taken care of by both private and public practitioners. The municipality has only one (1) Rural Health Unit located in the municipal compound. It is staffed with one (1) doctor, two (2) nurses, one (1) dentist, six (7) midwives, and one (1) dental aide. Likewise, there are two (2) ambulance and 5 barangay health stations, helping the health personnel in the delivery of health services. There is no government hospital in the area but instead, there are about (7) medical clinics, which are maintained and operated by private practicing physicians that cater to the medical needs of the people. These medical clinics are located in Poblacion West and Poblacion East. As to the dental needs of the people, there are five (5) dental clinics all located in the poblacion area. On nutrition, out of 8,085 children weighed in 2009, the Rural Health Unit (RHU I) registered around 203 or 3% as malnourished, 147 or 2% are first degree malnourished, 56 or 1% are second degree malnourished and 0% are third degree malnourished. There were 137 total deaths in the year 2005 which were slightly lower than the average for 2009 with total of 181 deaths. The leading cause of mortality are Cardio- vascular Diseases and Pneumonia. Meanwhile, the ten causes of morbidity are bronchitis, diarrhea, disease of the heart, PTB, influenza, pneumonia, rabies, goiter, chicken pox, viral hepatitis. As mandated by the Local Government Code of 1991, all provincial and municipal offices of the Department of Social Welfare and Development especially direct service workers were devolved down at the Local Government Units (LGU) effective October 1, 1992. This means the transfer of personnel, assets, equipment, funds and programs from the Department down to the LGU. At present, the Municipal Social Welfare and Development Office (MSWDO) has one (1) social worker and two (2) social welfare aides, their office is located at the municipal compound. As of 2009 records, the MSWDO was able to organize three (120) Self Employment Assistance Kaunlaran Association (SKA). The prospective beneficiaries had already undergone Basic Business Management Seminar (BBMS). A total of 200 underweight 0-6 preschoolers were served in various day care centers of the Municipality. There are 15 disabled were provided with assistance. The registration for disabled persons in the municipality is ongoing. A total of 3,500 national I. D’s were issued to senior citizens covering the 24 barangays provided by RA 7432. Under the emergency assistance program, Assistance to Individuals in Crisis Situation (AICS) is also available. There are 25-day care centers manned by 25-day care workers. Rehabilitation of Day Care Center Resource was funded by Sen. Miguel Zubiri. Supplemental feeding must be provided simultaneously to minimize malnourished children. A building must be provided to the senior citizens where they can meet. Every family in a society must be provided with a dwelling unit to satisfy one of the basic needs of man. This is the main reason why the government and the private sector are very much concerned about the needs of the populace. In 2008, Sta. Ignacia has a total; population of 43,560 or a total of 9,343 households with a ratio of 5 persons: 1 dwelling unit. Sta. Ignacia is endowed with vast open land areas making it feasible for housing projects to develop. The peace and order situation within the municipality makes it easier to attract families to settle. At present, there is a newly established subdivision at Pugo-Cecilio to augment the three existing subdivisions that are currently operating in the municipality: Don Mauricio Subdivision, Ilagan Subdivision, St. Ignatius and St. Anthony. There is a need for an annual increase of 1.18% in the total number of dwelling units to suffice the future demand. The development of sports and recreation is one of the major concerns of the government. At present, the municipality of Sta. Ignacia has one covered court, an open space for sports and recreational activities. Most sport and recreational activities are held at Barangay plazas and school compounds. The most common sports and recreational facilities found in the municipality are open basketball courts, plaza, tennis court and swimming pools. A cockpit arena is located at Barangay Pinpinas. Schools have their own playgrounds. Police and Fire Department services play vital roles in providing and maintaining peace and order for all sectoral groups of the community. This is important for a locality to grown and develops faster. 26 policemen man the police department in the municipality of Sta. Ignacia. The police force is issued firearms of different types. They are equipped with 2 vehicles and 1 motorcycle. The present police station is located at the municipal compound. There are 2 outposts, 1 in front of the public market and other in front of Signa Bank. In addition to the police force, there are 352 barangay tanod who help in keeping peace and order in the municipality. There are 7 firemen in the municipality. It is equipped with 1 fire truck. The fire station located in the municipal compound has an area of 300 sq.m. The most common source of water supply at present in the municipality is its ground water. Based on the records of the Office of the MPDC, there are at present 6,258 households with individual pumps found in all barangays. The residents use this to obtain water for drinking, laundry, bathing and other domestic uses. This leaves 2,049 without direct water supply and have to secure water from communal pumps, and other secondary source of water. The sta. Ignacia Water District, located at Poblacion West started operation in 1996. It has a total of 571 households served at Barangays Poblacion East, Poblacion West, San Francisco and San Vicente. By the end of 1999, it is expected to have reached Barangay Cabaruan and Taguiporo. The steel water pump has a 150 cubic meter capacity. The minimum for the first 10 cubic meter for residential is P85.00. Electrical services in the municipality of sta. Ignacia came from Tarlac Electric Cooperative (TARELCO) which depend solely on the National Power Corporation (NAPOCOR). A district office is located in the municipality. At present, there are a total of 8,308 households in the whole locality. Of these, 4,305 households or 52.77% are served by the TARELCO.There is no Barangay that is fully served by the cooperative. The least served barangays are Timmaguab, Sta. Ines Centro and Caanamongan. The only Barangay still unserved is San Sotero.Of the 152 sitios or puroks, a total number of 128 have electric lines while 24 are still not reached by the services of the TARELCO. In order to have economic growth, every municipality must consider the necessity of providing infrastructure support facilities particularly to enhance mobility and development especially the municipality's economic sectors, The municipality of Sta. Ignacia has about 303.844 kms. of road which is classified into four (4) classifications namely; national, provincial, municipal and Barangay. The total length for the national is 13.51 kms; for the provincial is 54.57 kms. ; for the municipal is 12.8 kms. ; and 226.253 kms. for the Barangay. There are ten (10) bridges found in the municipality. Of the ten, three (3) are in the national road. The riding public of the community and the ability to move and circulate freely depend on private and government-owned vehicles such as buses, mini-buses, jeepney and tricycles. The municipality has an estimated 16 jeepneys that are plying different routes such as Tarlac - Sta. Ignacia and vice-versa or Sta. Ignacia - Camiling and vice-versa. Meanwhile, tricycles numbering at least 221 units maintain regular trips from the town to any point of the locality such as going to different barangays. Aside from these, other passenger vehicles that can be availed of are Philippine Rabbit Bus Lines, Victory Liner, SanTrans, and others. 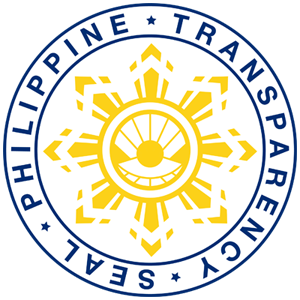 From the IRAP findings conducted by the Office of the MPDC, there are 704 tricycles, 230 motorcycles, 142 private cars, 79 trucks, 1`60 private jeeps, 117 jeepneys, 1319 bicycles, 3,166 carabaos, 2 horses, 34 vans and 5 minibuses owned by residents of Santa Ignacia. The Philippine Postal Office carries out Mass communication facilities and services in the locality. At present, the municipality has a postal station located at the municipal building. One (1) postmaster, one (1) teller and four (4) postmen man the Philpost. At the telegraph office, there is one radio operator.